The hybrid proved a difficult project to commence. When you are able to create anything the possibilities are endless. As i enjoyed the 3D printing of the pendant I decided to create a jewellery piece. I created different shapes and drew them in Illustrator. There was much trial and error to begin with, due to the size of my first necklace, which was a red acrylic necklace composed of triangles. 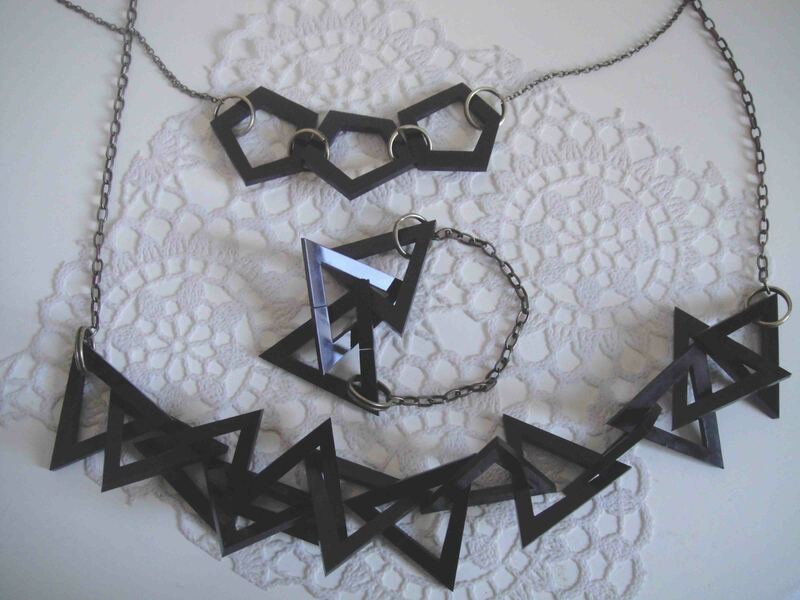 All necklaces and bracelets were constructed of acrylic sheeting (3mm) and cut on the laser machine. I wanted a modular piece that I could adapt and further develop the design. I therefore made an incision on the thickest side of each shape so I could easily slot each piece together without the use of glue. 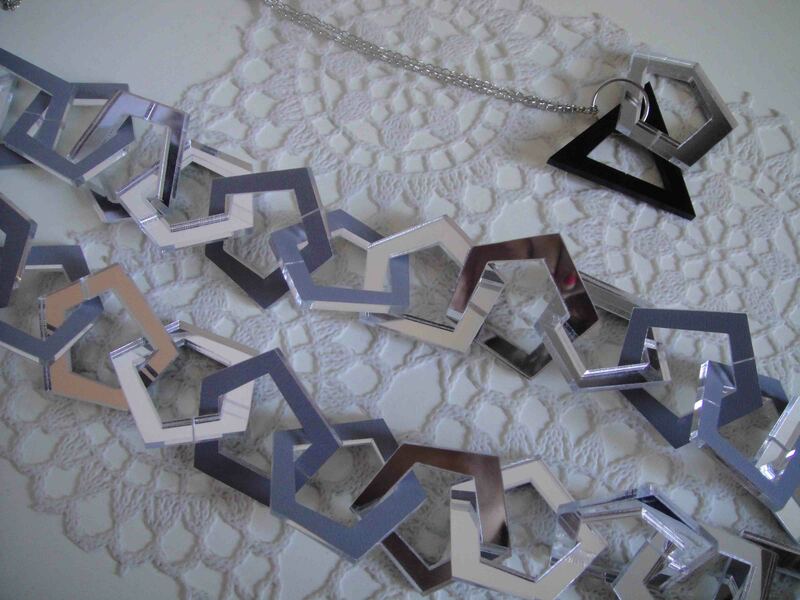 The second type of fabrication was using chain and metal joiners to create different types of jewellery. I resulted in four ranges of jewellery.